On Mega Trucks Gone Wild 5 the Busted Knuckle Films crew heads to West Georgia Mud Park in Tallapoosa, Georgia for the final Mega Truck Series event of the year where the Baddest Mega Mud Trucks in the Nation air it out on the Hill N Hole Racing Course. We got to witness some massive air and some extreme carnage with big name trucks such as Hammerhead and Louisianimal putting on a show for the crowd. Sweat this and the No Sweat Samurai were both there putting down some lightening fast passes. Mama sue was laying the hammer down in Cajun Sling as the only female driver of the event. Randy Priest made some wide open passes in his new quick stick truck. One rig broke their rear axle in half leaving it dragging behind in the mud and the muck. Drivers also had to hit the obstacle course with the fastest time. Check out the video for all of the action from West Ga Mud Park. For more Mega Trucks Gone Wild videos check out the Busted Knuckle Video Youtube Channel. 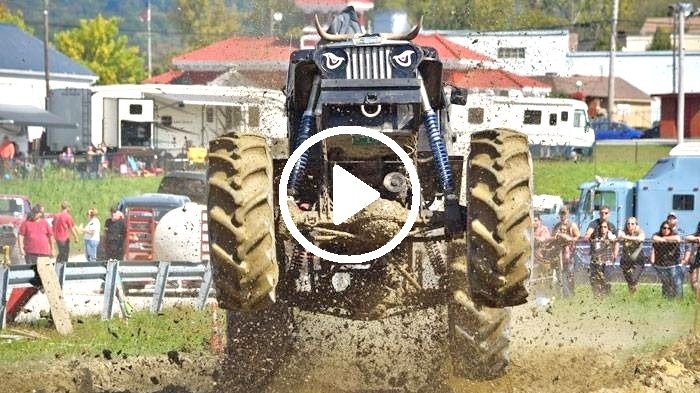 Check out Mega Trucks Gone Wild 4 from Vermonster 4×4 in Vermont.